For some people, mobile is a luxury. For others, mobile is a necessity. So, it is quite challenging for mobile app developers to create apps that work on multiple platforms. There are a lot of opportunities for new developers. The newest app code rests on the concept of writing code once and runs it anywhere (WORA). The app developer writes code which can run on multiple platforms. The purpose of cross-platform mobile development tools is to save long-hours of coding. The app developers can reuse the code and run on iOS, Windows, and Android devices. With various mobile devices in the organizations, and startups which increase the productivity of the employees, cross-platform mobile app development is not downhill easy. A survey estimates that more than 60% of the enterprises are now on cross-platform development. The annual growth is 38% which reached $4.8 billion by 2017 and by 2018 it was around 20 million. If you’re a professional mobile app development agency, you might be using these tools. Ask your developers, and they’ll let you know more details about it. But if your mobile app developers are busy here is a quick view on the top-notch cross-platform mobile app development tools which can help you create favorite apps. As tooling, devs use the most common text editors or IDEs like VS Code and Atom. The package create-react-native-app and Expo allow you to get up and running fast and eliminate most of the setup work. The tool is mainly developed by Apache Cordova. An open-source tool consists of a debugger, a compiler, and testing tools. 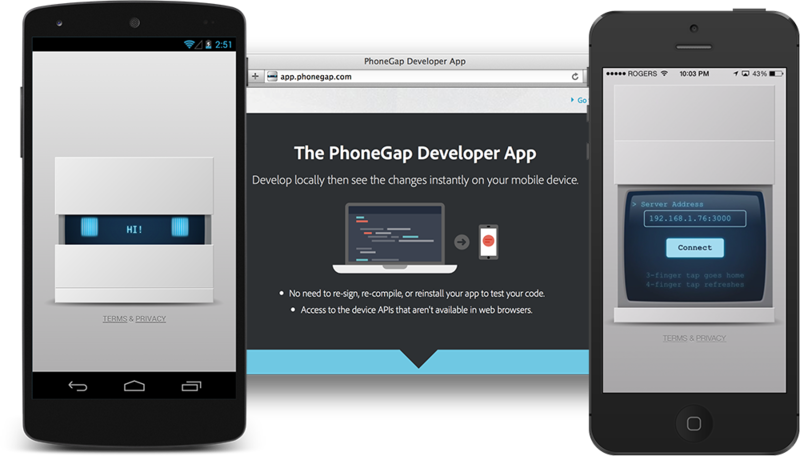 It’s just a myth that PhoneGap is used to build simple apps. In the past few years there is a wide range of plugins like Media Recorder Plugin, Image Capture plugin, and even Push plugin which is quite popular among developers. The code can easily be reused on the following platforms: Android, iOS, Windows, and Firefox OS. All the processes are plugin-able which means that the developers can easily use APIs to get their work done. It supports the in-store app purchases whether it is on the Google Play store or iOS. The only issue is that the apps which are designed in PhoneGap are designed sensitive. However, with some third-party apps, this challenge can be overcome. 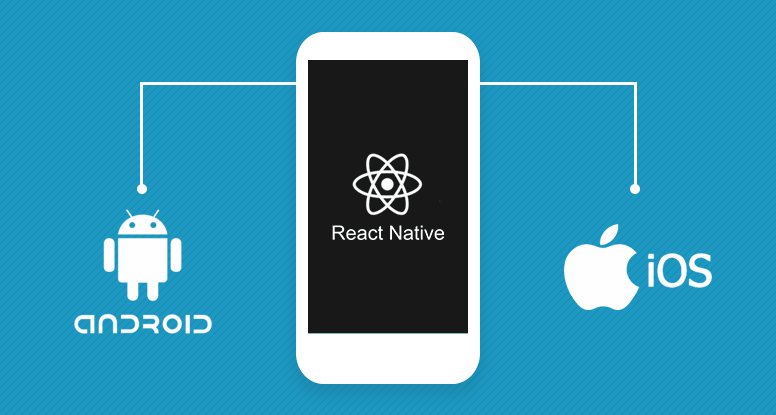 When React Native launched in the year 2015, it took everything by storm. The most amazing thing about React Native is that it allows writing code once which can be used for both Android and iOS. This development tool has been used by Facebook, Airbnb, UberEats and a couple of other famous mobile apps. You can easily reload the code live without any delays. The design is quite intuitive and modular. A plus point for developers who want a simple interface while developing apps. It provides robust performance. Which means the design can easily be operated on most of the mobile devices without giving any delays in the graphics. The learning curve of React Native is quite high. It takes more time to initialize. The management of memory is difficult because float computations that are dealt in an inefficient manner. If you use a Xamarin tool, you can take help from C# codebase and test the tool on multiple platforms. However, just like other frameworks, the developers can work with native IDEs, APIs, and languages. Moreover, Git integration is developed in Xamarin Studio. The best part of this tool is you can develop simple apps fleetly. Around three-fourths of the code can easily be shared on various mobile platforms which can cut-down the development cost by half. 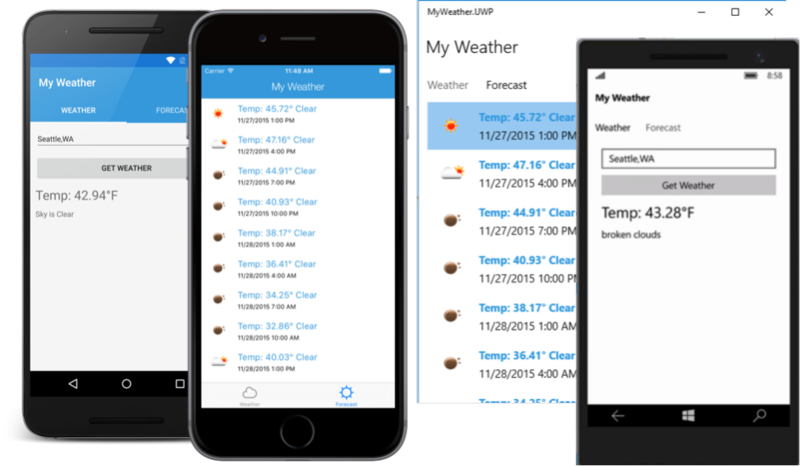 Xamarin comes with a quality testing and monitoring system on a wide range of devices. The predominant compatibility issues with Android and iOS libraries is a bit of concern for most app developers. This is the sole issue which the developers need to address. If you need data-intensive cross-platform mobile apps, then this tool is good news for you. This tool is a robust package of high-end, pre-tested, and ultra-modern UI components which can unleash the potential power of HTML5 and latest browsers. To develop business intelligence (BI) cross-platform mobile apps Sencha Ext JS is a perfect choice. The data visualization and analytics are supreme which can compute millions of records with ease. Built-in easy-to-use themes for every popular platform. The backend works separately regardless of various data sources. The tool supports PhoneGap/Cordova integration to access native API. The themes are few for some platforms. The commercial version has complex licensing methods. 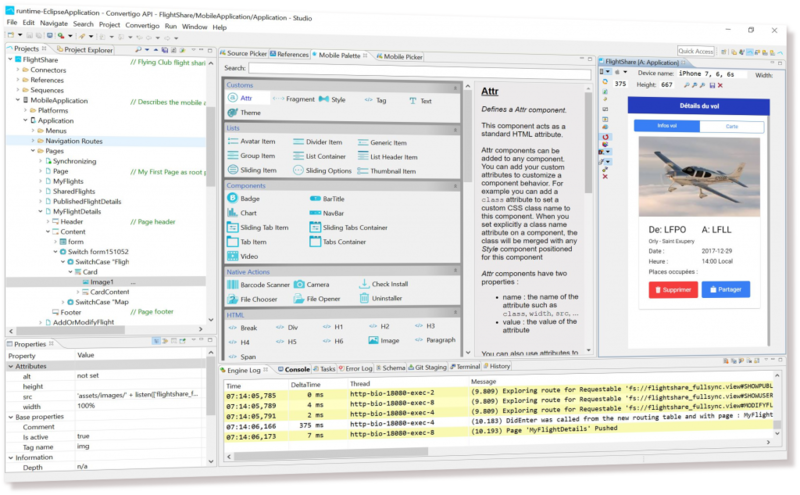 A cloud-based tool that works seamlessly with PhoneGap and compiles code fast. The developers are faithful towards this tool because the quality of deliverables is impressive. The mobile app developers are more willing to work on a cross-platform app development project instead of Android SDK, iOS SDK, or Windows Phone SDK. The only requirement is a little knowledge of HTML5, CSS3, and Java. Code reusability can help the developer’s wrap-up projects with tight deadlines. This tool is a blessing for medium-size organizations and startup who are facing ruthless competition. Manage your portfolio, get updates, and forget about the maintenance. When compared to Swift the data processing speed is sluggish. The background processing of APIs is also at a glacial pace. The native functionality is miserable. Most of the APIs don’t even support PhoneGap’s APIs. Convertigo markets itself as a mobile backend service (MBaaS) which offers products like Convertigo Mobilizer, Convertigo Server, Convertigo Server, and every product is there to aid the developers in building better products. The fullsync feature offers data replication which can help developers to build apps even in offline mode. 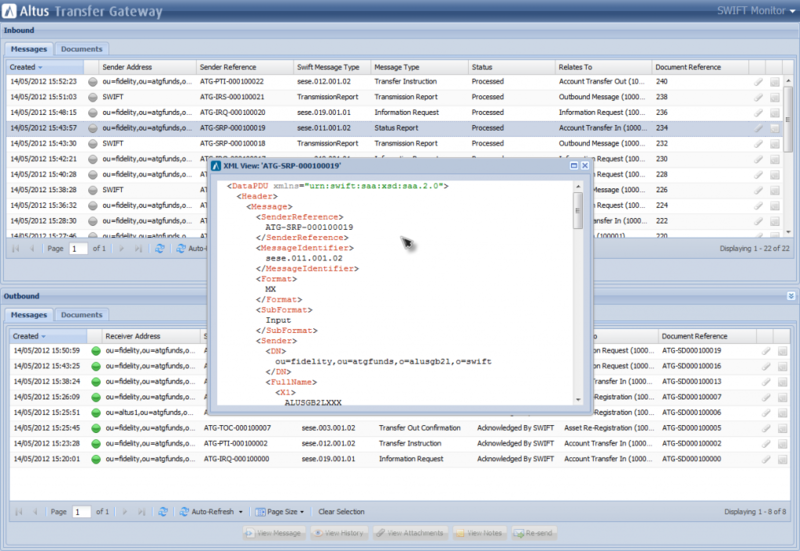 Provides ease to connect with SQL databases and other primary services. Supports all the Cordova plugins which are used to develop primary features like sensors, camera, and GPS. The push notifications work even in standby mode. The free version of the product doesn’t include community support which is kind of sad. 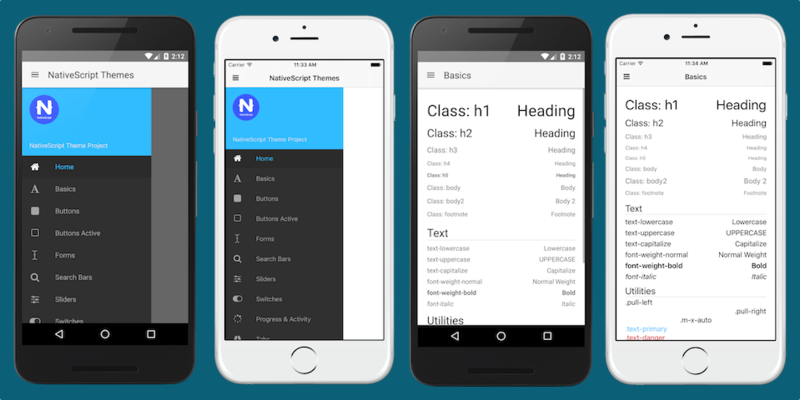 This open-source, cross-platform app development tool can help developers to build native UI with ease. The developers can easily access the native API and reuse the packages from Gradle, NPM, or CocoaPods. This is why the apps build with this tool are feature-rich. It enables you to use the JaveScript library offline. The cross-platform UI support gives the ability to design once and use it on various other platforms. A lack of in-depth examples and documentation. Multi-threading is an alarming issue. It is important to mention that the numbering in the post doesn’t reflect the superiority or inferiority of the tool. Each tool has its own pros and cons. The limitations of the tools make it easy to choose as per the requirement of the project. A professional cross-platform app development company can guide you towards the right path. Contact us now!